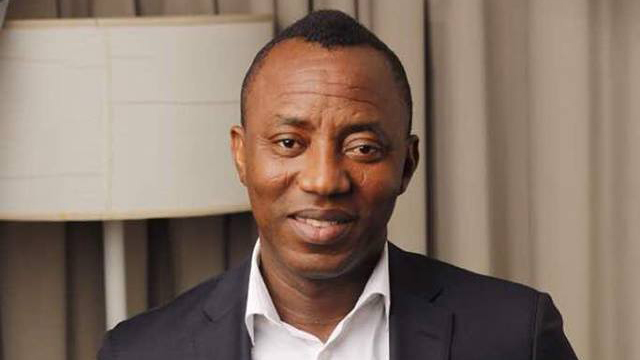 Presidential candidate of African Action Congress (AAC), Omoyele Sowore, has warned Nigerians not to be deceived by the crowd at the two major political parties’ rallies, saying the crowds were as a result of monetary inducements. Sowore, who alleged that political actors especially of the ruling All progressives Congress (APC) and major opposition Peoples Democratic Party (PDP) rented the crowd, noted that no sane Nigerian would cast their vote for candidates of either party in the coming elections. According to him, another four years in the government of President Muhammadu Buhari of APC or former Vice President, Atiku Abubakar of PDP would further plunge the country into disaster. He urged Nigerians to brace up and vote their consciences rather than allow their votes to be swayed by pecuniary gains that had been used to bait the electorate in time past. Sowore noted that the clarion call to redeem the country must be heeded by all well-meaning citizens, who aspire for a better Nigeria, adding that he is poised to effect a positive transformation to the country’s dwindling fortune if elected. He said: “Every trick in the political world has been played and outplayed by the political class. Don’t be deceived by the rented crowd at their rallies. We still have the silent majority who have made a decision to vote their conscience. If the coming elections are free and fair, there is no rational human being who will vote for the two major parties and what that means is, there is hope for this country, and the youths have the brightest chance. Responding to the endorsement, Director-General of Sowore Presidential Campaign, Dr. Malcolm Fabiyi, said the only opinions that matter the only voices of influence are not those of privilege, power, status, or fame, adding, “The only endorsement that matters to us is the one the Nigerian people have already given us. We are the voice of the Nigerian people, and the only organic platform that will represent the interest of the Nigerian masses. He added that there is no presidential candidate who could boast of the antecedents, the history of principled engagement, and the sacrificial participation in the struggle to move Nigeria forward than Sowore has displayed over the last 30 years. “From the fight to reverse the annulment of the June 12, 1993 elections, to the restoration of democracy in 1999, to the truncation of Obasanjo’s third term bid, to the exposure of erstwhile President Umaru Yar’Adua’s cabals bid to deny a constitutional transfer of power to a minority president, to the courageous real-time release of the 2015 poll results that helped to safeguard and ensure free and fair elections, Sowore has been at the forefront of pivotal political events of our country. “No other candidate has had this level of engagement. No other candidate can speak of a 30-year consistency in his or her service to the nation. No other candidate has worked for the Nigerian people as thoroughly and comprehensively as Sowore has done. No other candidate speaks to the aspirations of the Nigerian people with the authenticity that Sowore does. That authenticity is what has powered our party to becoming one of the three largest parties in the nation.